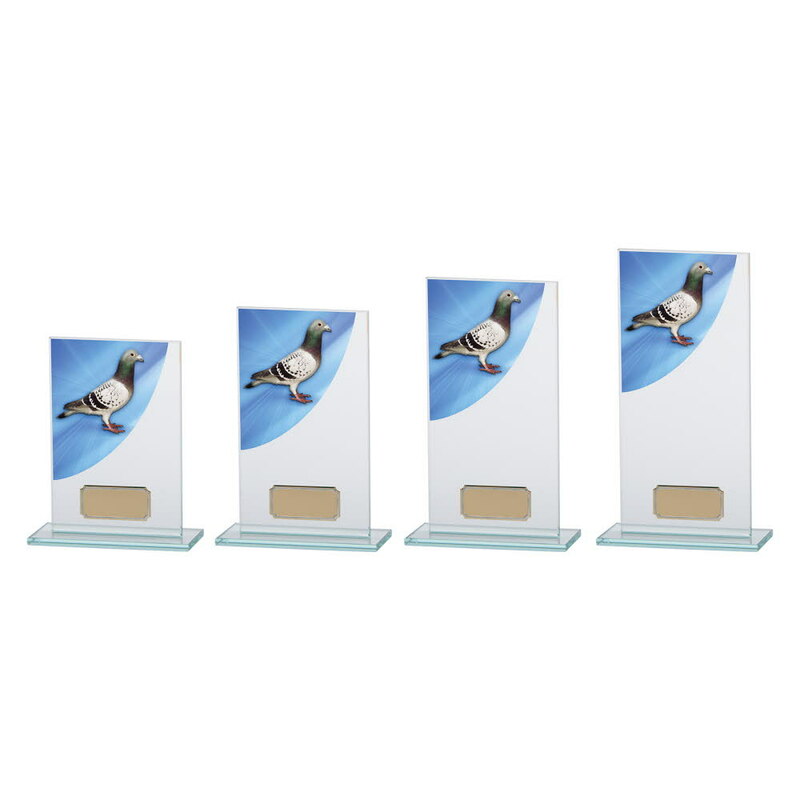 Available in 4 sizes, 140mm, 160mm, 180mm and 200mm high. Premium Jade Glass 5 mm thick. Full colour pigeon curve image. 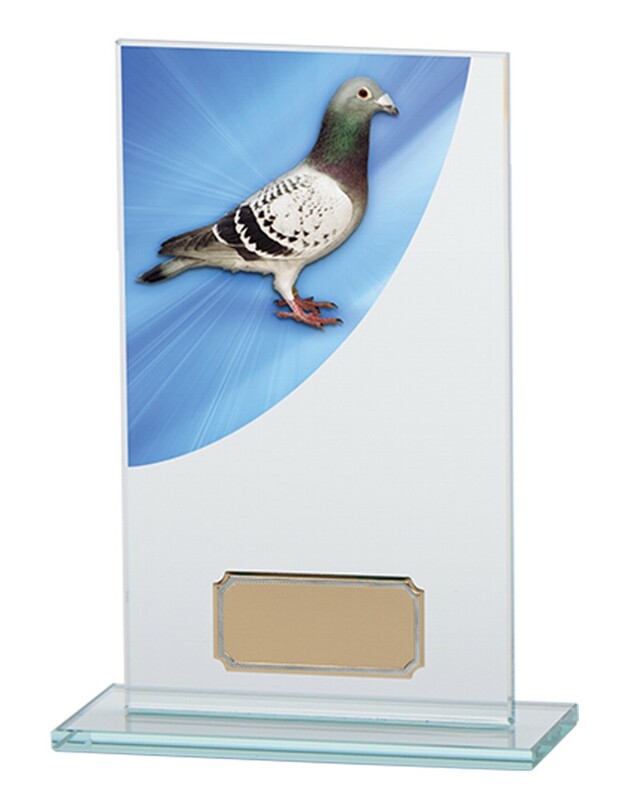 A great value pigeon trophy.